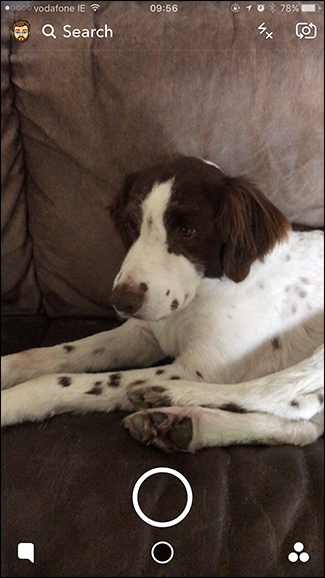 Snapchat is rolling out features at an incredible rate. Some of them are nice tweaks, like adding voice filters. Others, like Snap Map, are honestly pretty dangerous. Let’s look at what the new Snap Map is, what’s wrong with it, and most importantly, how to disable it. 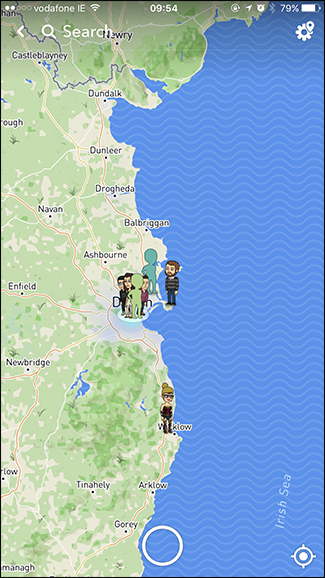 Snap Map is a new feature in Snapchat that shares your location with your friends. Unlike most location-based features, however, Snap Map doesn’t give a general location, it shows exactly where you are. It doesn’t show that I’m in Dublin, Ireland; it shows you where my house is. Zoom in close enough in the image below, and you’ll be able to work out exactly where I live. If you have Snap Map enabled, every time you open Snapchat, your position will be updated. Go to work and open Snapchat there? Now everyone knows where you work. Go over to a friends’ house for drinks and send a Snap? Yep, all your friends know where they live now too. Obviously this feature is a privacy nightmare, and we can’t recommend you use it. Thankfully, Snap Map isn’t turned on by default. When you open Snapchat after the app has updated, you’ll get a demo of the new feature and be prompted to turn it on. If you haven’t already, don’t. If you turned it on out of curiosity, though, you should really turn it off. Here’s how. Open Snapchat. From the main screen, do a two-finger pinch as if you’re zooming out in a regular map app. This brings you to the Snap Map. Tap the Gear icon in the top right corner of the screen to get to Settings. 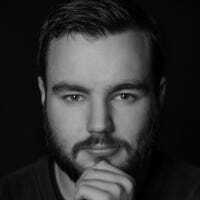 Tap the switch next to Ghost Mode to turn off location sharing. 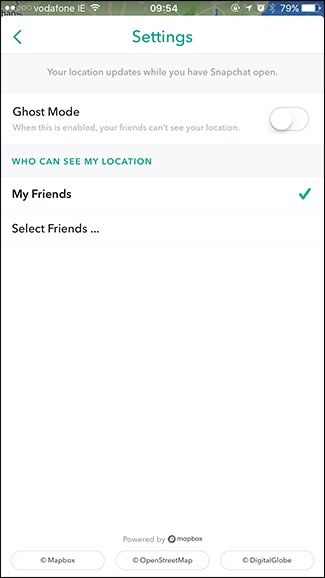 You’ll still be able to see all your friends’ locations, which is really weird, but at least you won’t be broadcasting your location to them. 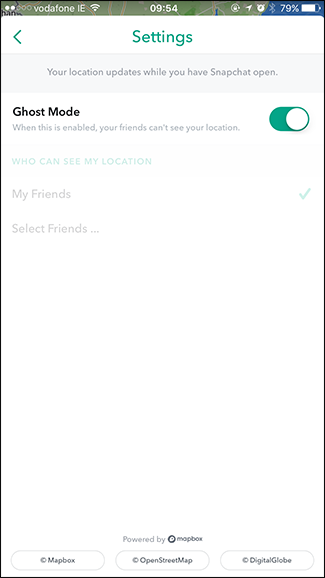 The Snap Map feature has received a lot of backlash already, so I wouldn’t be surprised if it was radically changed or removed in a future update. Until that happens, the best thing to do is pretend it doesn’t exist. If you’re a parent, you should probably check to make sure your children don’t have it enabled.